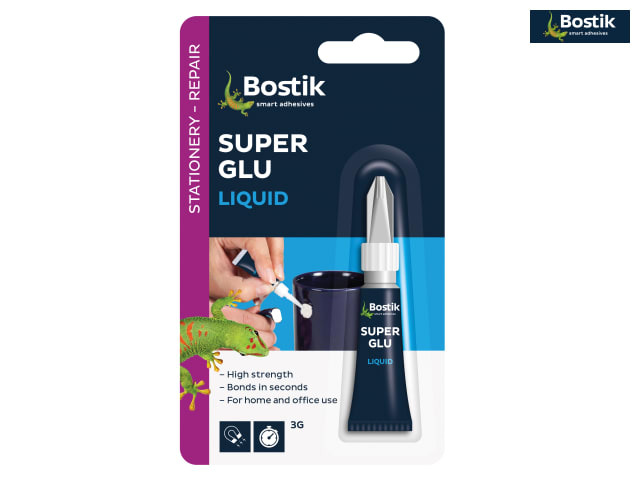 Bostik Super Glu is effective on a large range of materials and surfaces, including china, metals, rubber, hard plastic, laminate and much more. 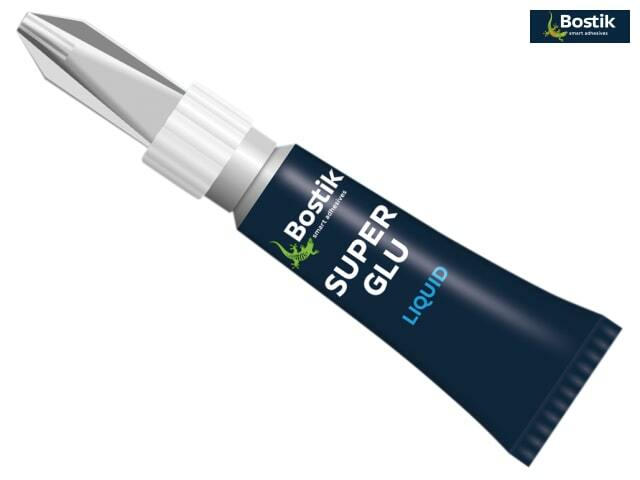 It bonds in seconds without the need for heat or hardener and provides very strong bonds of high tensile strength. 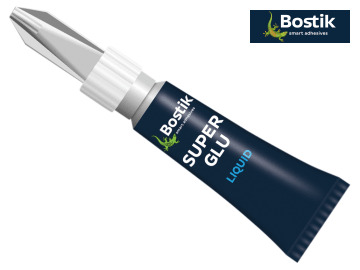 Super Glu Liquid is supplied in a 3g tube.